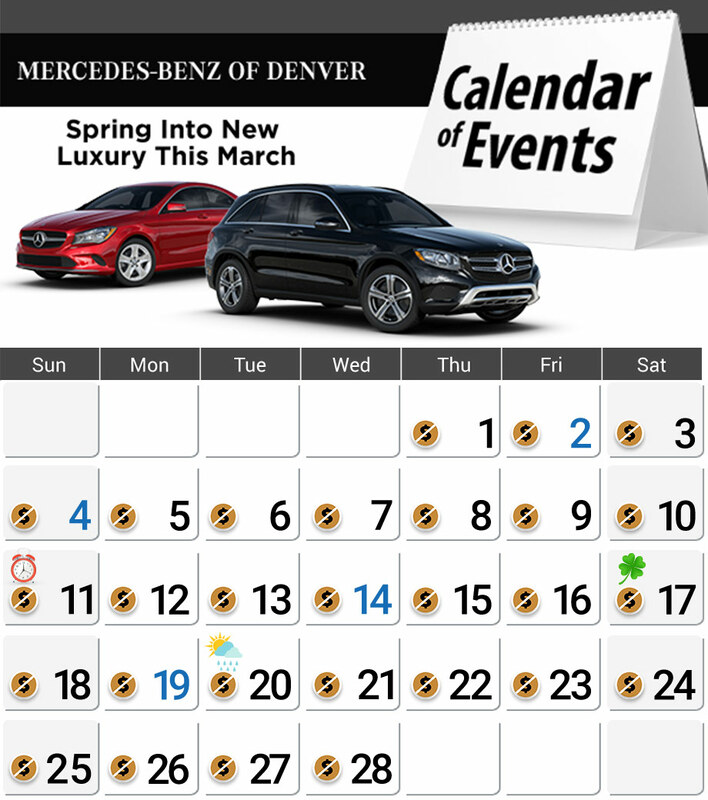 You never pay dealer-handling fees at Mercedes-Benz of Denver, because we always give you our best price first. There are no hidden fees or extra charges, no tricks, and no gimmicks. You don't need to have the luck of the Irish with you to in order to drive new luxury from Mercedes-Benz of Denver. You don't even have to wear green! Everyone can enjoy the luxury performance of new luxury for less. A new Mercedes-Benz looks good - no matter what the season is. See how good you look in one today after you schedule your test-drive. Mercedes-Benz of Denver's Executive Pre-owned specials feature all the advanced safety tech and amenities you expect from Mercedes-Benz. You get our assurance of recent model year, low mileage, and top-tier performance specs. Just need quick service? We've developed Express Service with your time in mind. Stop in for a simple service visit, and we'll complete thorough maintenance* on your vehicle in under 1-hour, or it's free! *Basic A-Service maintenance. Excludes GTS and SLS models. Restrictions may apply. See dealer service department for details. Offer expires 02/28/18.